Wedding columns are a gorgeous addition to any event. 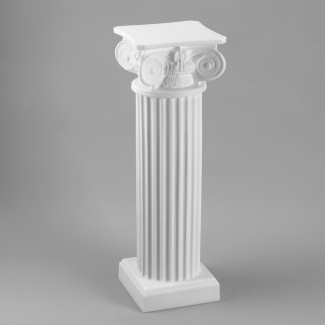 If you want to bring more visual appeal into your celebration, then you need columns! The décor available today is very sturdy, yet lightweight so you can easily move and lift them. How can you incorporate beautiful wedding columns into your event? Versatile columns like this one are very useful at events and weddings. Tall wedding columns are a great way to highlight the main points of entry in your venue. This could be where the bride and groom will make their big entrance or just the first area your guests will see as they enter (and the last thing they see when exiting). It sets the tone for the event and helps build excitement when guests arrive. Despite careful planning and hard work, all the key areas in your venue may not be obvious right away to guests. A good way to grab attention is to setup some medium to tall size columns. For example, you can showcase the cake table or a special table setup for a specific message or purpose, like a memorial to a loved one. Columns tell guests that there’s something on display and they should come take a look! Your wedding columns don’t have to take center stage to be effective. Many couples and event planners build stunning backdrops using columns. Create the perfect background for your wedding ceremony or create an eye-catching space where guests and the bridal party can take formal looking photographs throughout the celebration. Wedding columns can also be used like pedestals or tables. Choose a shorter column to display a wreath, special flower or plant or photograph. This is another great way to create an elegant presentation for special messages and memorials. Place your columns down a walkway, aisle or pathway. This is very helpful if your event is outdoors or if there are multiple paths your guests can walk down. The beautiful columns will serve as a guide to the festivities!